The cliché tells us the internet killed discovery, but we politely refuse. Between Ras ben Sakka in Tunisia and South Africa’s Cape Agulhas sits a goldmine of remote adventure. 30.3 million km² of deserts, mountains and jungles which account for more than 20% of Earth’s total land mass. Undoubtedly the most diverse of the continents both culturally and geographically, it’s the centre piece of our planet and the motherland to humanity, home to 54 nations and an estimated 1500-2000 different spoken languages. Africa has it all but while a select few of its countries have been blessed with tourism, minimal infrastructure and political instability have generally kept tourist levels low. 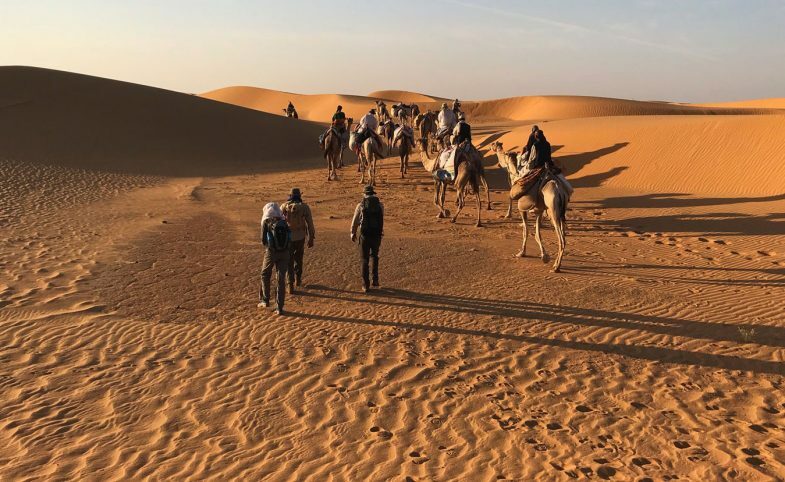 Travel has never been more accessible than it is right now and while the pioneers of yesteryear may have been spoiled by a blank canvas, they lacked accessibility and the tools to make the most of it. Sure, you could easily just visit one of the continent’s many well trodden safari parks or its coastal resorts but below are five reasons to to look beyond convention. Grab a map. See the intensely green patch in Central Africa, sprawling east from the coast along the Equator? That is the Congolese Jungle – the world’s second largest tropical forest. It spans six countries, and contains a quarter of the world’s remaining tropical forest. Under its canopy sits a labyrinth of unchartered waterways. Dissected by the Equator itself, hugging Central Africa’s western shores sits Gabon and its world-famous network of national parks. Modelling itself on Costa Rica’s success, Gabon is focussing on conservation efforts and initiatives to generate sustainable economic growth through eco-tourism, and so protect the future of its abundant natural resources. Around 80% of the country is made up of tropical rainforest with over 10% of its land protected by national park status. 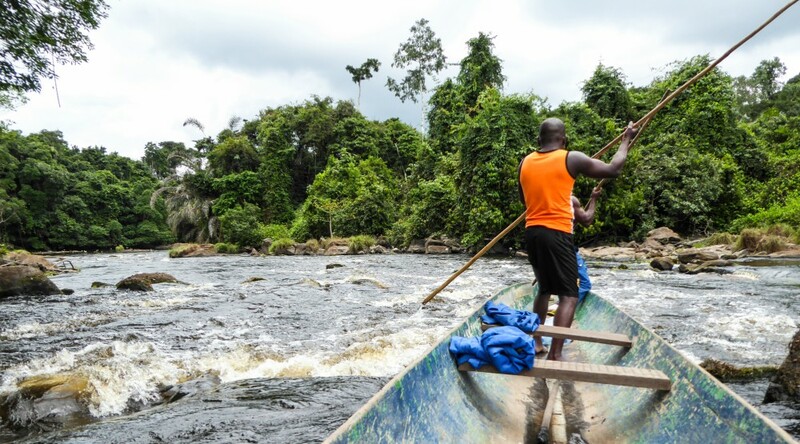 In 2016, we led a packrafting expedition within Gabon to explore the boundaries of adventure, the first descent of the Ivindo and Djidji rivers. With no records or accounts of the river, the team surveyed the route as they went, shooting the rapids where they could, deflating the rafts and continuing on foot through the jungle when they couldn’t. 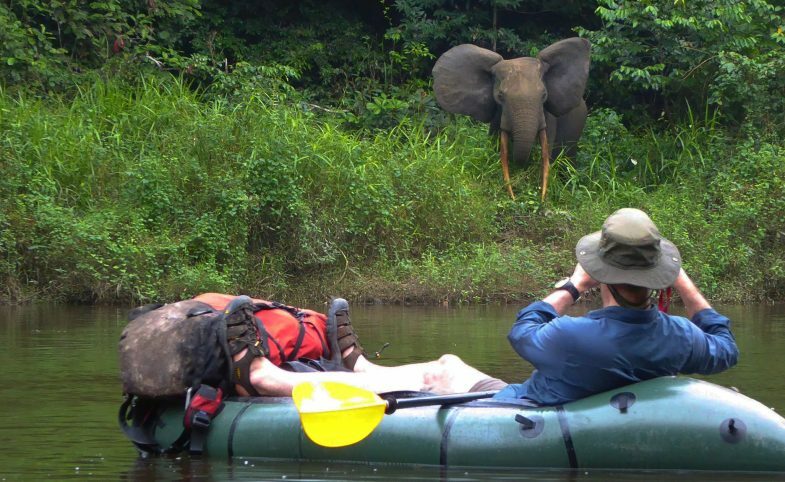 In 2018, we’ll be headed back to Gabon for another exploratory expedition, full details of which can be found here. The bullseye of Africa, the Democratic Republic of the Congo is home to the continent’s oldest national park. Established in 1925, Virunga accounts for 3,000 square miles and has been a UNESCO-designated World Heritage Site since 1979. Poaching, the Congo Civil War and oil corporations however, have long threatened its wildlife and abundance of natural resources. 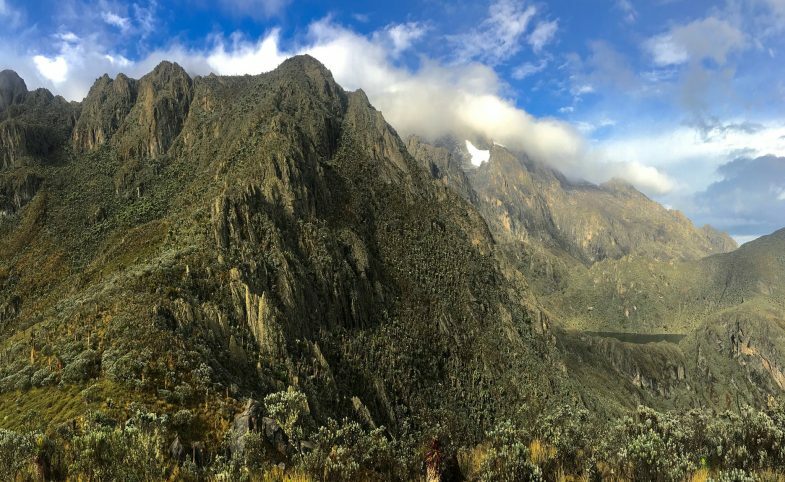 In the north of the park are the Rwenzori Mountains, the alpine glaciers of which feed the Nile river. Known to many as the Mountains of the Moon, the range’s crown jewel is the glaciated peak of Mount Stanley, Africa’s third highest peak. To the east, sharing a border with Rwanda’s Volcanoes National Park is volcano territory. 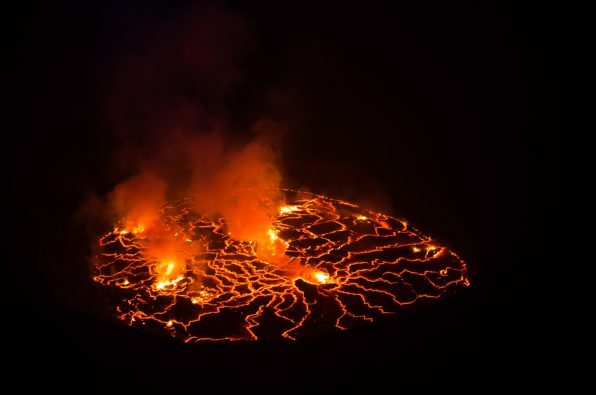 Here, the world’s largest lava lake bubbles and spits in the belly of Mount Nyiragongo, an active stratovolcano with a volatile and fatal history. Virunga is also home to about a quarter of the world’s critically endangered mountain gorillas. The park’s two other Great Ape species, eastern lowland Grauer’s gorillas and chimpanzees, make Virunga the only park in the world to host three species of Great Apes. Today, thanks to the efforts of the national park, Virunga’s mountain gorilla population is on the rise. For several years, Secret Compass have proudly been working closely with the park to enable various projects to come to fruition. These projects have generated critical funds to support the park rangers, who risk their lives on a daily basis to protect the endangered wildlife and precious habitat of Virunga. 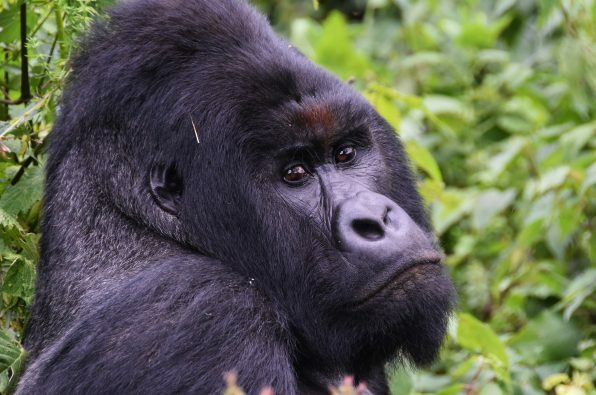 Find out more about our DRC: Virunga expedition here. Preceding the jungles of equatorial Africa is a fairly large sand mass of which you may have heard. 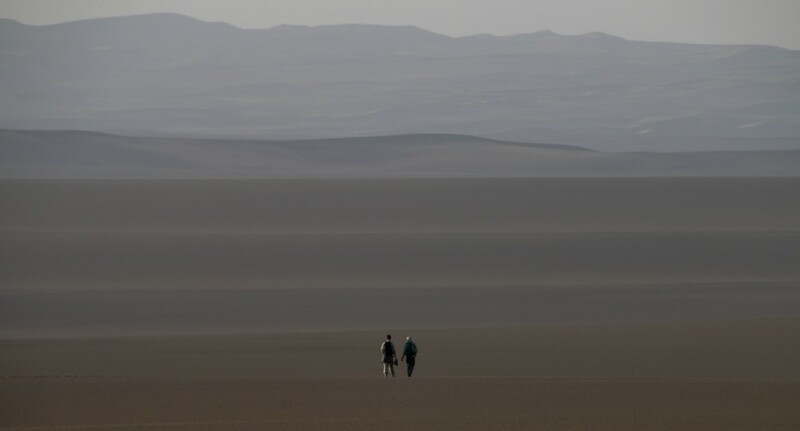 After Antarctica and the Arctic, The Sahara is the largest desert in the world. Its 3,600,000 square miles makes it comparable in size to China or the United States and overlap into 10 different nations. Despite common misperception, the offerings of the desert are so much more than vast emptiness. Unique history, culture, otherworldly landscapes, the possibilities for clichéd superlatives here are endless. And nestled into 600km meander within the River Nile sits the Bayuda desert. A palpable section of desert, perfect for a camel-supported crossing. In 600BC, the route through the desert was a lifeline linking the northern and southern districts of the Kingdom of Kush, and the evocative ruins of the Meroë and Nuri pyramids and temples still stand at its southern and northern reaches. More recently, in 1884–1885, the Bayuda Desert route was used as a shortcut by the Gordon Relief Expedition – a desperate military march across Egypt and Sudan to relieve General Gordon and the siege of Khartoum. 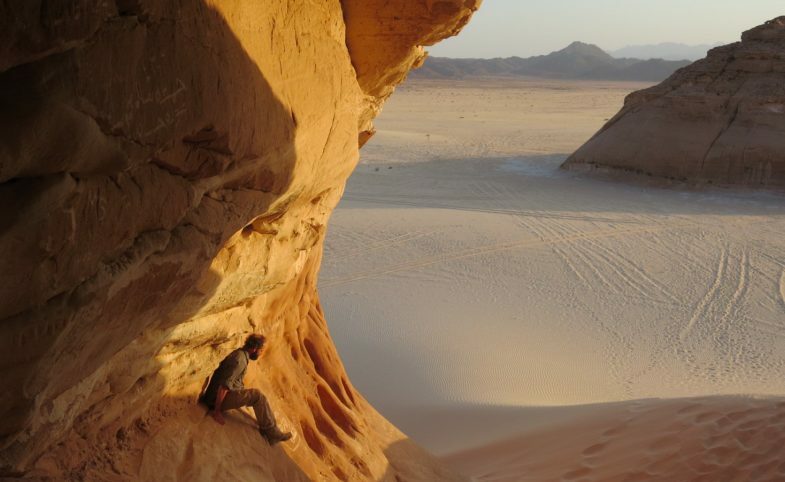 You’ll find the full details of our Bayuda Desert expedition here. You don’t need us to enlighten you with the knowledge that lions and giraffes roam Africa’s savannahs but what about the pygmy chameleons of Madagascar? Yes pygmy chameleons! 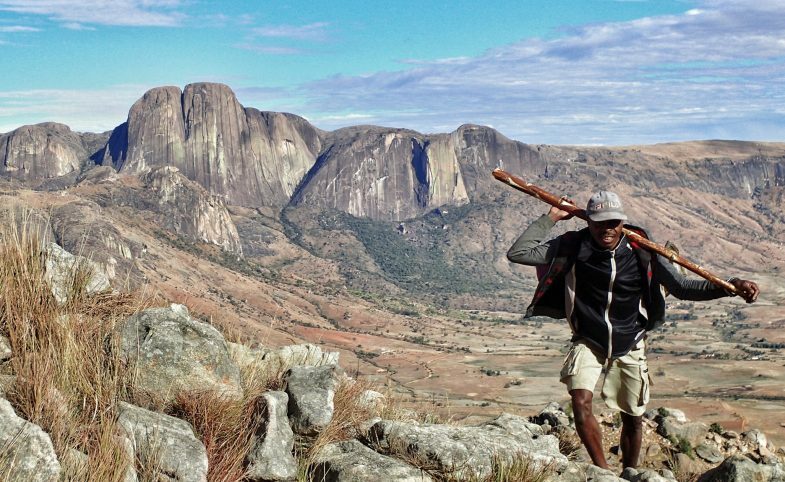 Result of a strange geological past, Madagascar hosts one of most diverse natural environments on the planet. About 160 million years ago, the island lost contact with mainland Africa, but while Australia and India drifted far from Africa, Madagascar remained close by. 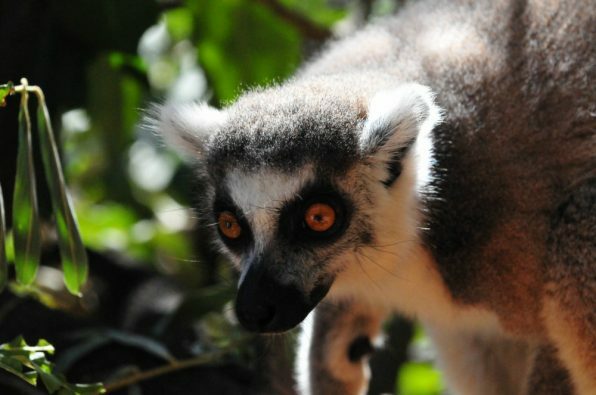 Animals and seeds swept out to sea from Tanzania’s and Mozambique’s rivers could conceivably make it across to the island as was the case for the ancestors of Madagascar’s lemurs around 54 million years ago. Fast forward to the present day and with reference to its abundance of endemic wildlife, the island is often likened to the Galapagos. Around 80% of Madagascar’s wildlife is found nowhere else on Earth. 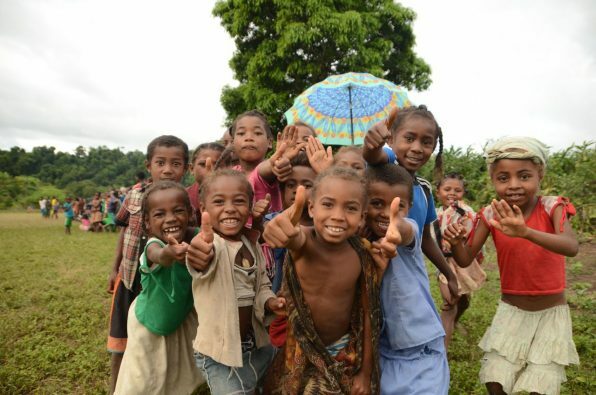 Though for us, Madagascar’s wildlife is just a small part of its appeal. With peaks comparable to those of Yosemite and untamed rivers leading to the Indian Ocean, it’s a perfect island to push the envelope. 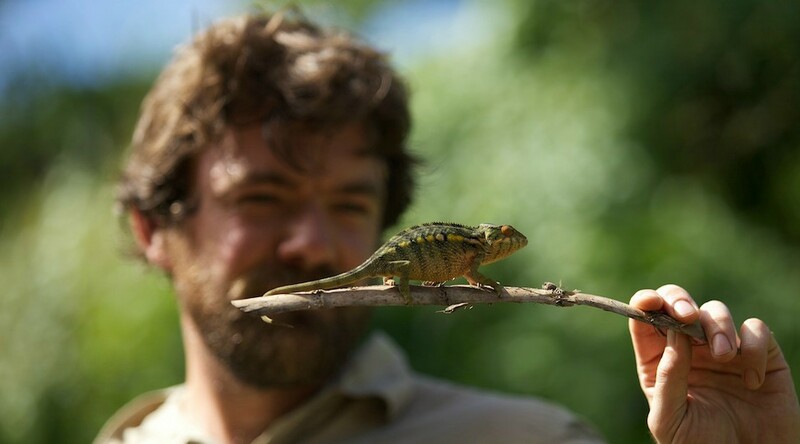 In April we’re headed back to the world’s fourth largest island, not just in search of pygmy chameleons but to explore the wild landscape from peak to sea. For full expedition details, click here. Take Ethiopia, known as the Cradle of Mankind, the country is home to some of the world’s most rugged and remote environments. Big mountains and huge green expanses. Prime mountain biking territory right? 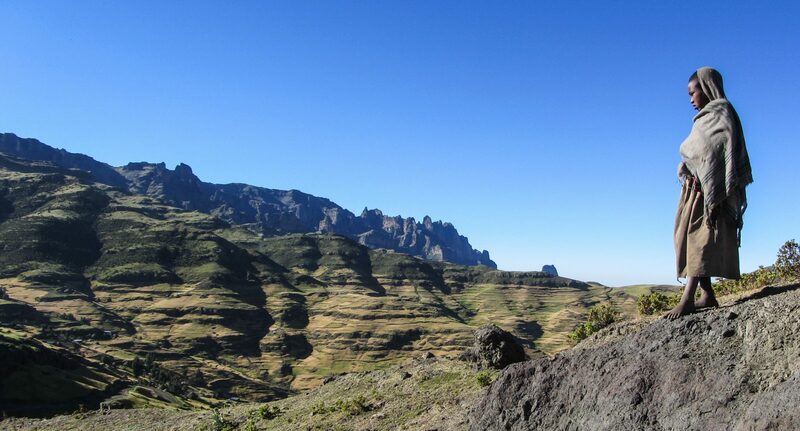 The Simien Highlands, home to the UNESCO World Heritage Site national park looked exactly like the kind of terrain we’d been dreaming of – a full-on exploratory mountain bike adventure. So we took a couple of professional riders to explore the fruits of the region. One thing to say with absolute confidence is that Africa is sparse. So much land with so much variation in landscape means there is a ridiculous amount to explore and thus opportunity for true adventure to unfold. Exactly how you want to put it together, make it cultural, or wildlife oriented, well that’s completely up to you. And in our opinion that’s where the fun really begins. Put together your dream Africa trip here.